Believe it or not, there are scarier things on Halloween than ghosts, werewolves and twisted clowns. Seeing police lights in your rear view mirror and knowing there is a possibility that you could be arrested and hauled off to jail to face criminal DUI charges is horrifying. Perhaps even for frightening, is the reality that your mug shot could be chosen to be featured as entertainment by your local news outlet. According to the National Highway Safety Administration, in 2011, a whopping 44 percent of crashes Halloween night involved a driver whose blood-alcohol level was 0.08 percent or higher. Between 2007 and 2011, 175 people were killed in DUI crashes across the United States on Halloween night. It is important to be smart and safe this Halloween weekend. Police often sit outside bars and various events where they know alcohol is being served just waiting to make an arrest as soon as they see someone get inside a vehicle and drive off. 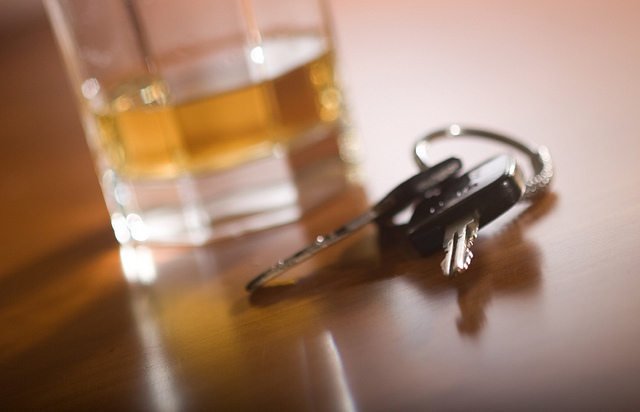 While sometimes effective, in certain cases drivers can escape DUI charges. If your criminal defense lawyer can prove that the officer failed to exercise reasonable cause when pulling you over, prosecutors may be forced to drop the charges entirely. Another popular police tactic for holidays is DUI checkpoints. Officers will sometimes use these checkpoints to press for permission to search vehicles for evidence of drugs, weapons or other items that may result in additional criminal charges. If you are stopped this Halloween, you can refuse to have your car searched. Police may choose to search your car regardless, but the fact that you refused could be grounds to suppress whatever evidence was found. Should you find yourself under arrest for DUI , you need to be prepared. Understand that you are not obligated to tell the arresting officer where you are going or where you came from. With that said, it is never a good idea to lie, but do not offer up any additional information as to how much you have had to drink or if you have taken any drugs that night. Try your best to keep your cool and keep your statements to a minimum. If police do arrest you, make sure to explain that you do not want to answer any questions without the presence of your attorney. If you have been arrested for DUI anywhere in the state of Florida, or happen to get arrested this Halloween, call a Florida DUI Defense Lawyer at Whittel & Melton at 866-608-5529 for a free consultation. You can also contact us online 24/7.